The following conversation is real, and concerns the exploits of a photographer whose work can be examined at the daily photo weblog WHITEBLACKRED: PHOTOS OF MY DAYS. To protect the subjects, their names have been changed. 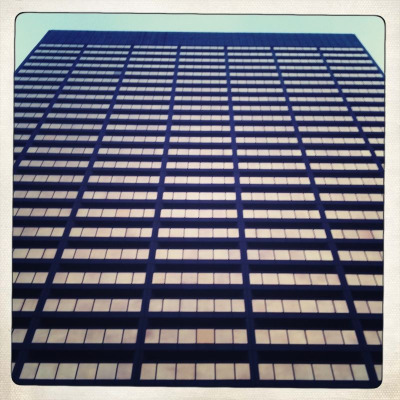 The photographer, will be referred to here as Person(s) A, while the critic will be referred to here as Person(s) X. Person(s) M was unavailable for discussion. Okay, not really. We’re hardly even right here most of the time. But in at least this one instance, we’re happy to share that Benjamin Kumming has an account of the history of soccer in the United States between the collapse of the NASL and the rise of MLS, over ‘pon yon Pitch Invasion. It’s hard to know where to begin with a book like The Amazing Adventures of Kavalier & Clay. It’s big in a lot of senses: 639 pages, spanning nearly 30 years across the lives of two men, and dealing with what the back of the book blurb calls “American possibility,” which really means a bunch of complex and difficult emotions, themes, and ideas that are hard to put into a single word, all of which are kind of not American. 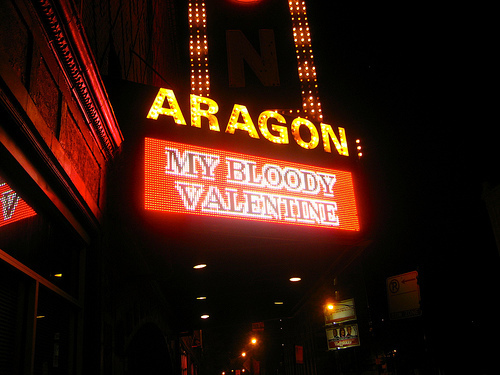 This past Saturday I attended the My Blood Valentine (reunion?) show. It was really loud, and for my money, really awesome. Instead of writing a boring fanboy recap myself (e.g. “When You Sleep” was the JAM! ), I asked a handful of friends who also attended, to weigh in. Sunday sucked. I was late, hungry, hungover and disappointed to find Jeannie in the office instead of Mitch. “Hi. Greet,” she said. My feeling of accomplishment is completely out of proportion with what I’ve actually achieved. During my last shift, I had started building a Lego car, the Nitro Menace, that would be put in a display case. In two hours I had barely finished 10 pages of the 62 page instruction booklet. The age suggestion of the book, 12+, infuriated me. This simple thing proved a logistical and engineering nightmare.